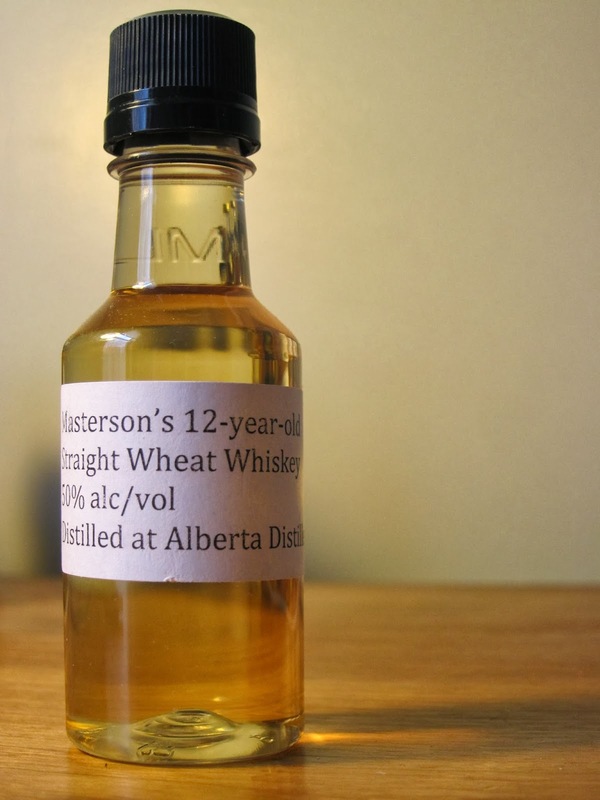 Masterson's 12yo Straight Wheat Whiskey (50.0%): Another sample from #DavinTT2 Canadian Whisky prize basket and the second Masterson's expression. I reviewed the 10yo Straight Barley Whiskey a few weeks ago. Like its sibling this whiskey is also distilled by Alberta Distillers and bottled and distributed by the Californian company 35 Maple Street. Color: Pale straw, Pinot Grigio like. Nose: Dry pine needles, eucalyptus and calendula cream. Acetone, Linseed oil and mineral spirits. Adding water released some cedar and spearmint aromas. Palate: Definitely sweeter than the nose suggested. But there is a numbing alcohol burn which allows nothing but some faint vanilla notes only. Water is needed immediately. Otherwise it is almost not enjoyable at all. More stuff opens up after adding water... Unripened bartlett pears, butane gas (that was awkward) and nail polish. Very thin mouthfeel. Finish: You feel mostly alcohol burn, not on the tongue but in your throat. Flavor-wise it's just a steep and quick downfall. Overall: Hmmm... Don't know what to say. It reminded me very much Mellow Corn. It somehow tastes almost like the wheat version of it but Mellow Corn is $11 a bottle and this one $65..! To be honest I don't have any idea how this whiskey can be sold in any country for $65. I am really baffled... It must be something I don't see here. It's harsh, mute and immature. No wonder why our good friends at Alberta Distillery sold those barrels to 35 Maple Street. It would be a fun thing to taste if it was very cheap but again for this price tag it's a huge let down. Maybe less tired barrels could result better with the same spirit in 12 years. Anyways, if you are not looking desperately for an expensive adventure just avoid it.